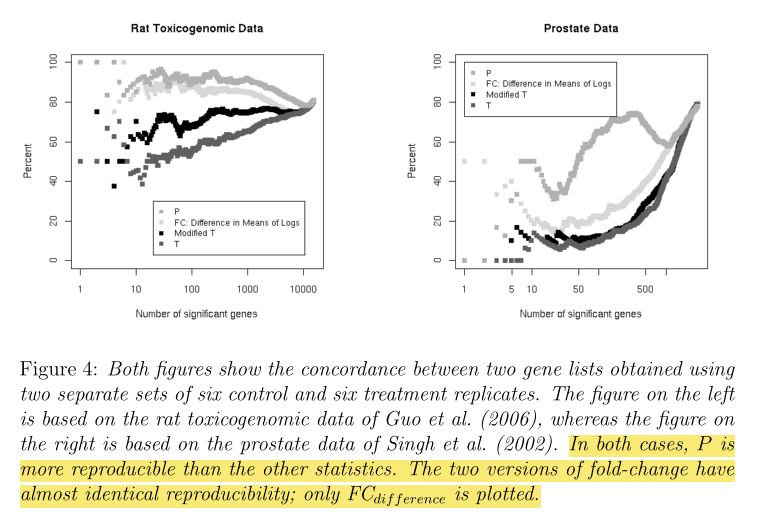 Therefore, a researcher’s decision to use fold-change or a modified t-statistic should be based on biological, rather than statistical, considerations. 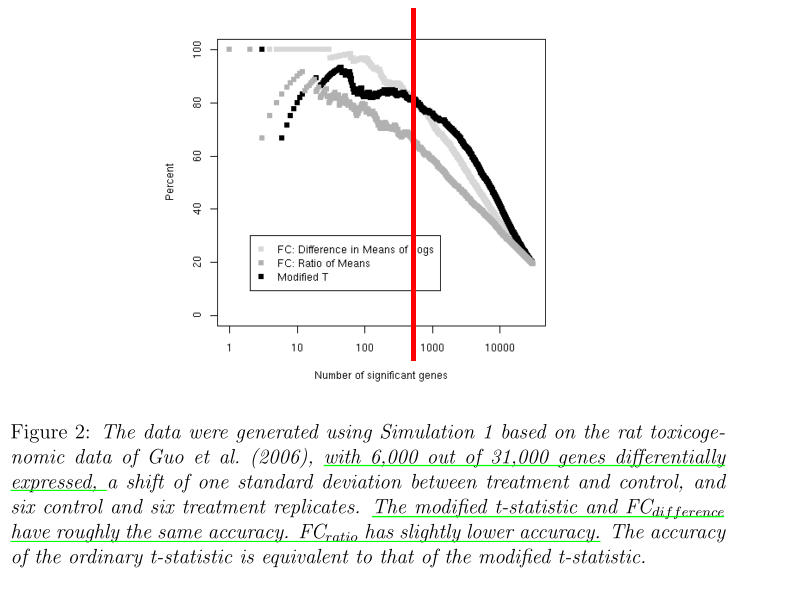 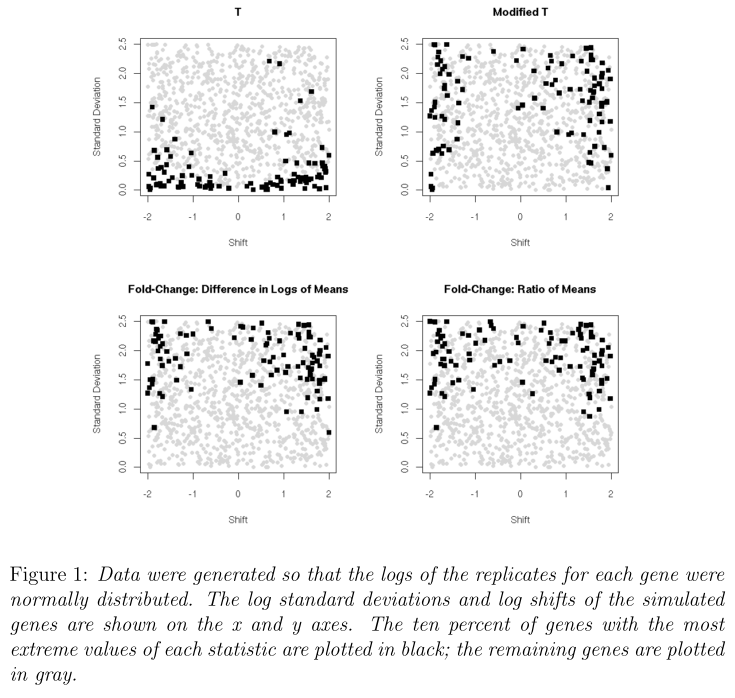 From this perspective, the question of whether the fold-changes or a modified t-statistic results in more accurate gene orderings is really a biological one, rather than a statistical one, as it depends on what types of expression differences between control and treatment have biological relevance. 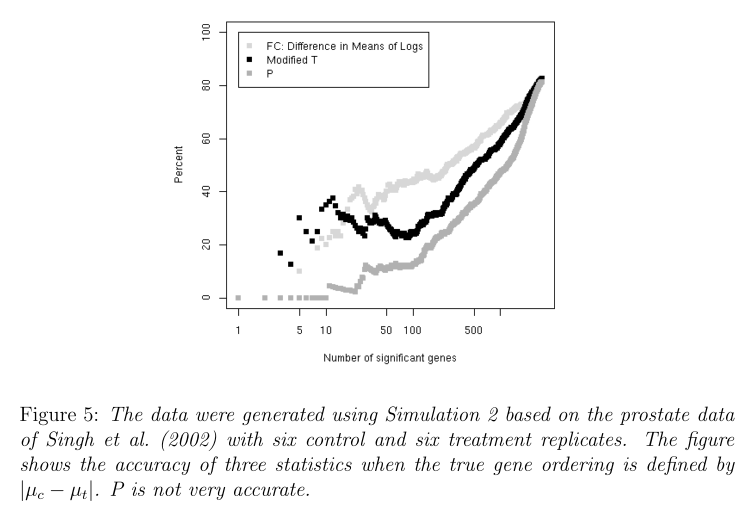 可重复性高并不暗示着精确性高，The issues of reproducibility and accuracy should be kept separate when evaluating the performance of a statistic.